Two walking charities have united behind plans to introduce a default national 20mph speed limit in Scotland. Living Streets Scotland and Ramblers Scotland say that the existing approach – to create 20mph streets by exception – is ‘back to front’. Stuart Hay, director of Living Streets Scotland, gave evidence to the Scottish Parliament’s Rural Economy and Connectivity Committee on 6 February. Stuart Hay said: “20mph is currently the default in some – but not all – local authority areas. This inconsistent approach is confusing for drivers and makes education on speed more challenging. In September 2018, Mark Ruskell, a Scottish Green Party MSP, introduced a new Bill to lower the default speed limit in urban areas across Scotland from 30mph to 20mph. The Safer Streets Member’s Bill, which has cross-party support, is still at stage one of the parliamentary process – which is when parliament considers the general principles of the bill and decides whether or not to agree to these. 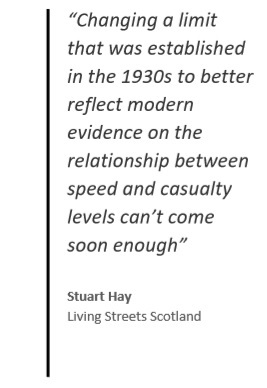 Stuart Hay added: “Changing a limit that was established in the 1930s to better reflect modern evidence on the relationship between speed and casualty levels can’t come soon enough. 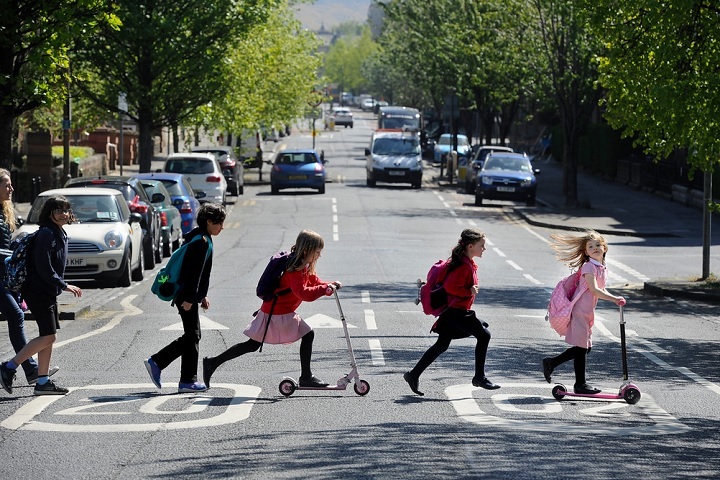 Helen Todd, campaigns and policy manager at Ramblers Scotland, said: “Making 20mph the default urban speed limit would boost safety and air quality, help create a more active population and align Scotland to international best practice. As from today, my road and neighbouring roads have become a posted-only 20 mph. I will keenly look out for any changes in the actual speeds although I am not hopeful of any change but..you never know. In terms of miles per hr reduced per mile per pound, wide area 20mph limits outperform physically calmed traffic reduction initiatives many times over. There is no “magic money tree”. If money were unlimited you may have a point. But it isn’t. Therefore eliminating the cost gives you no indication of what to do at all. When coupled with some enforcement and the use of ISA on PSVs, taxis and works vehicles wide area 20mph can transform our communities. I think that to change anything based on the assumption that the lowering of speed limits will materially affect traffic speeds would be to fly in the face of all the evidence. If the objective, as I believe it is here, is to lower traffic speeds, then the obvious course of action would be to choose a measure or measures based on the likelihood that speeds will be reduced by it/them, rather than on its/their cost.